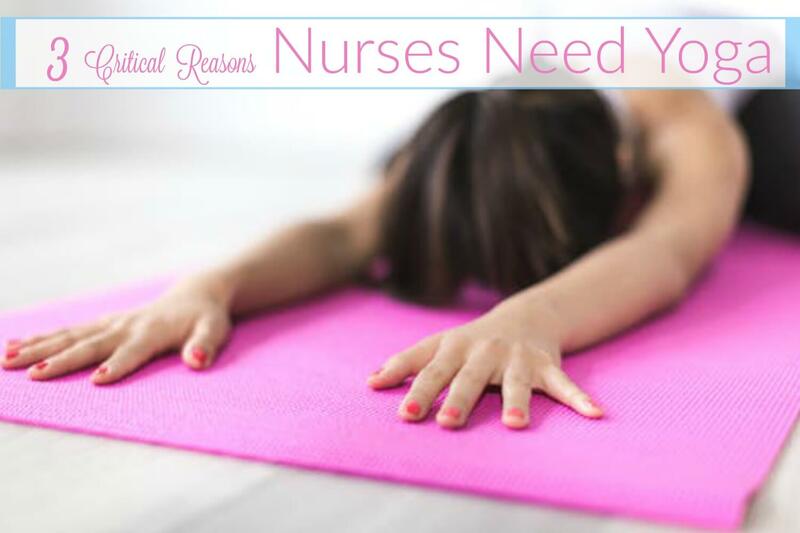 Yoga for nurses: we need to care for ourselves first. Yoga’s amazing benefits for physical and mental health are well documented. The Mayo clinic has stated that “yoga helps reduce stress, lower blood pressure and lower your heart rate” among several other benefits. Every nurse knows that the stress from patient care over a 12 hour shift can be exponential. Yet many nurses aren’t giving themselves the tender loving kindness we give to our patients! (I have written before about why nurses need to practice yoga if you are interested in reading). Yoga is more then just exercise. It offers caregivers a way to give themselves more self care (ahem, nurses). It helps us take even better care of our families, our patients and ourselves. Nurses have a high workload in many hospital wards. The stress is compounded by managing patient healthcare needs and treatments, daily occupational stressors and even the many frequent changes in technology. Lack of self-care can easily result in burnout and compassion fatigue in the nursing profession. As much as I hate to admit it, even I have questioned how long I can continue with the immense workload and emotional drain that is required of me as a nurse. Thankfully, I have found a productive way to manage this is through yoga and meditation. They help reignite my passion for encouraging others to take better care of themselves. I have practiced yoga pretty religiously for 12 years and have tried many different things along the way. These are a few of the yoga props I use at the studio and at home that are good for anyone starting their yoga journey. I love this yoga mat. The quality is very good for the price. It is soft with a relatively nice thickness compared to other yoga mats I have tried. In addition, it has nice grooves that keep the mat in place. A Velcro carry strap comes with the yoga mat to keep it rolled up nicely. I love the cork Manduka yoga blocks because I have had mine for 6 years and they still look brand new! Unlike foam blocks, these don’t disintegrate over time due to sweat and regular use. They are also heavier and more sturdy with a trustworthy grip. It is a good idea to purchase 2 because many yoga poses require the need for two blocks. This yoga strap is useful for all levels of yoga practice and can provide support, help with alignment and improve posture. This one even comes with a DVD to show several ways you can use the strap. If you are going to purchase both cork blocks and the strap you can get a little bit of a discount by purchasing them as a bundle. Don’t we all want to feel good in our own skin? Yoga empowers nurses to create a happier, healthier and more productive work environment by making us the best version of ourselves. 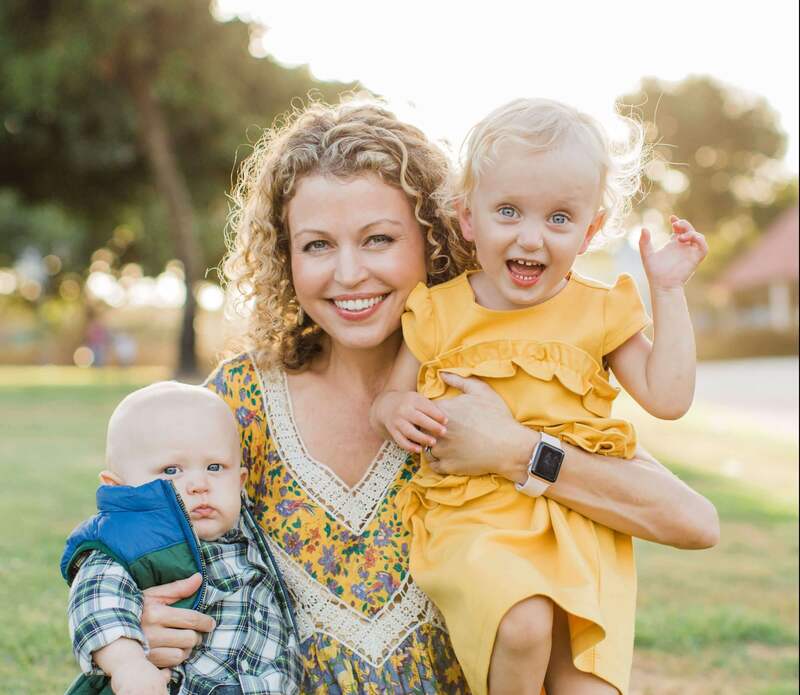 Are you a busy nurse or mom who is interested in starting a yoga practice? Do you already have a yoga practice? What are your thoughts? I would love to hear!